Compulsory Basic Training (CBT), is the starting point if you want to take to two wheels. 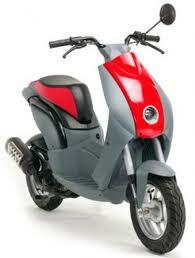 At 16 you may ride a moped, and at 17, a motorcycle up to 125cc. Before you can take the CBT you will need to have a valid provisional UK driving licence or a full UK driving licence with provisional motorcycle entitlement. You will also need to have a thorough understanding of the highway code. All our CBTs are run from our purpose built training centre in King’s Park. Here we have a large comfortable classroom along with refreshment facilities as well as the space to practice riding on mock road layouts before embarking on the real roads. The CBT course involves five elements and although these elements have to be completed in sequence, the order of the exercises in each element may be varied. You will only move to the next element when your instructor is satisfied you have learnt the necessary theory and demonstrated the practical skills to a safe level. Element A. Eyesight test, introduction to the day and a discussion about safety clothing. Element B. Learning the controls of the machine and going over daily and weekly safety checks. Element C. On-site riding, learning to ride the bike. Element D. Road ride briefing and theory discussion. Element E. Practical road ride - putting all the elements into practice. Prices for CBT include bike hire and the free loan of any safety gear you need to get you going. Fuel and insurance are also included. The CBT is generally run as a one day course. Most people are able to complete the necessary exercises in this time. If you are unable to complete all of the requirements you will have to return on another day to complete the course. Any trainee who finds themselves in this situation will be charged a reduced rate for the return visit. If you have never ridden a bike before, or you have no experience of using the road throiugh driving, you may wish to book our CBT Extra. This takes two days to complete and therefore gives you more time to get to grips with the bike and the rules of the road.